shells, spikes, and a coating of chaos fire. Power affected by wielder's humanity. 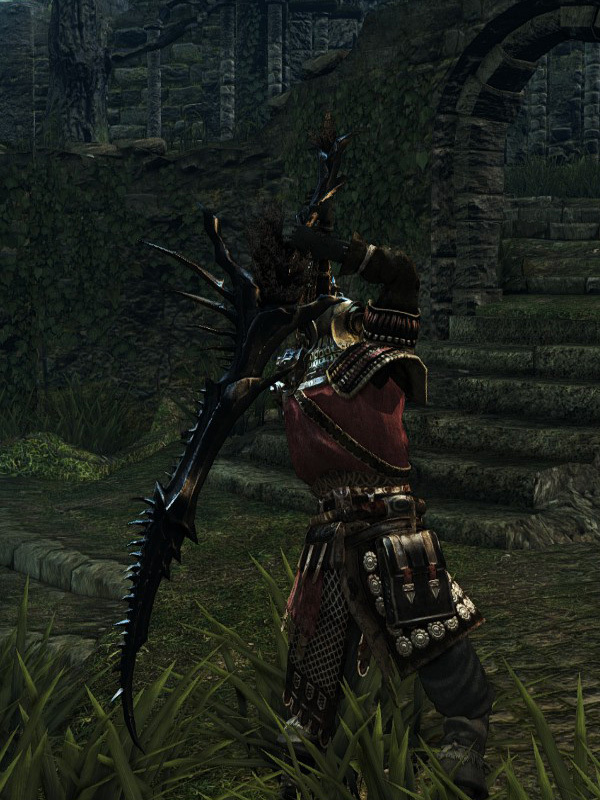 While this weapon has only average stats for a curved sword, it is notable for its high fraction of Fire damage. At low Dexterity and Humanity, Fire damage outnumbers Physical damage nearly three-to-one. Thus, the Furysword is an excellent choice against Fire-weak enemies and shields. While attacking with this weapon, it will ignite and show a fiery trail. This effect will stop when the attack animation ends. Landing on an enemy also triggers a fire effect. Strong attacks are replaced by alternating heavier horizontal slashes.